Okay! 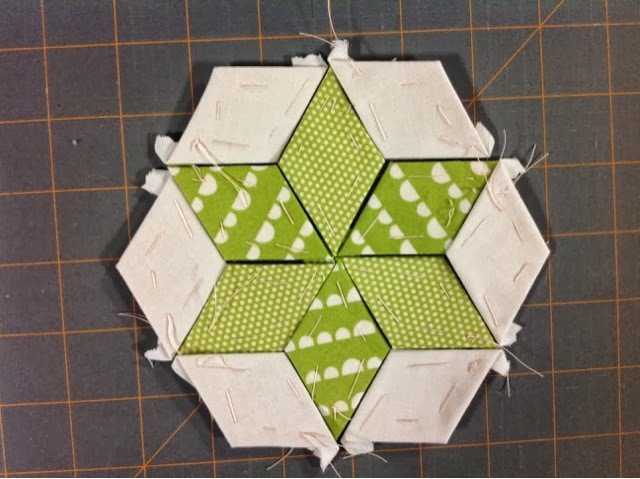 Here are my first English Paper Pieced (EPP) diamonds! I used the 1 1/2" sixty degree diamonds from Paper Pieces and fabric from the Happy Go Lucky line by Bonnie &Camille. It was very fun and I am looking forward to stitching them together. More to come and very soon I hope!